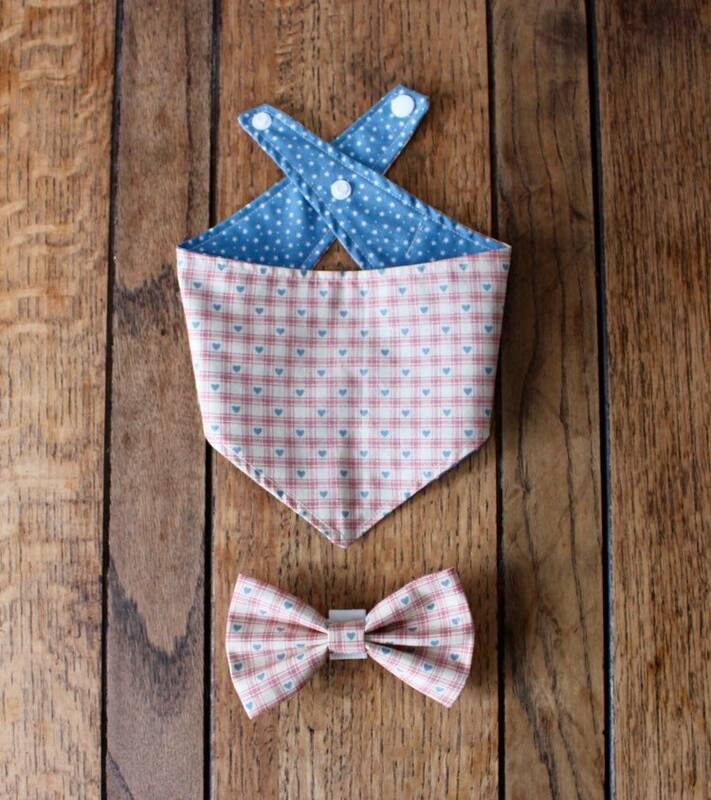 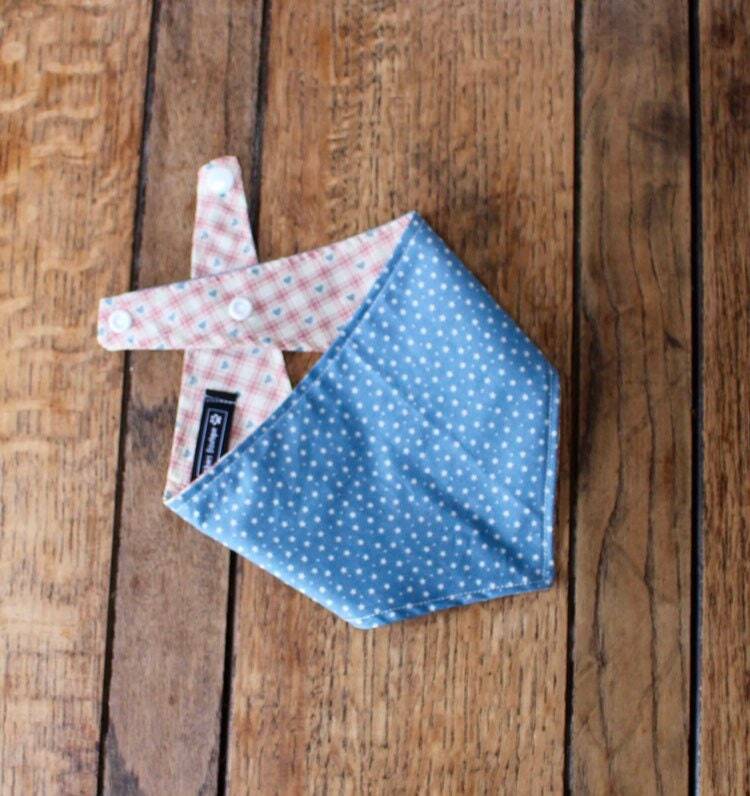 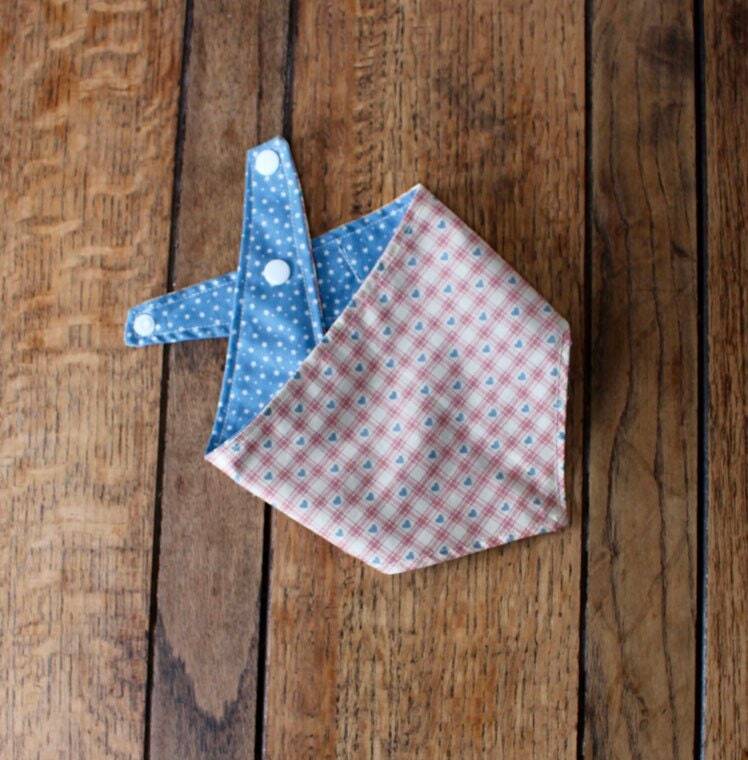 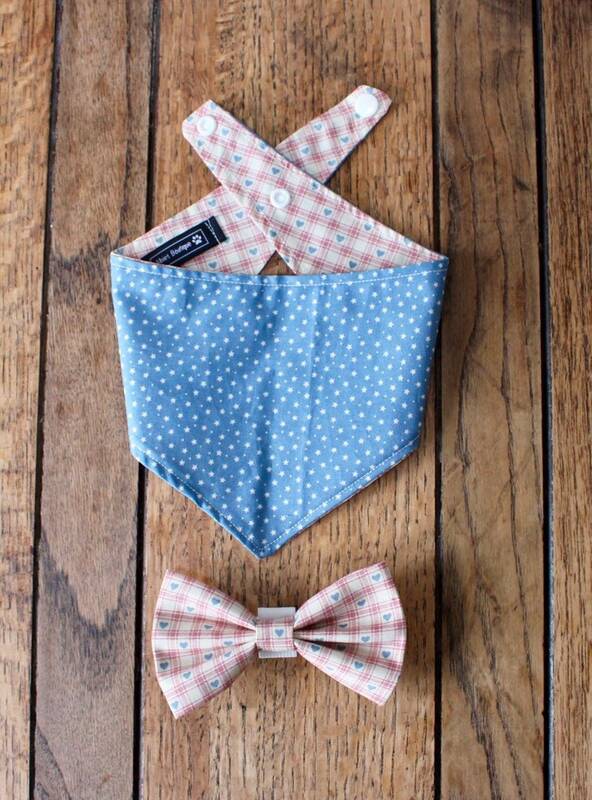 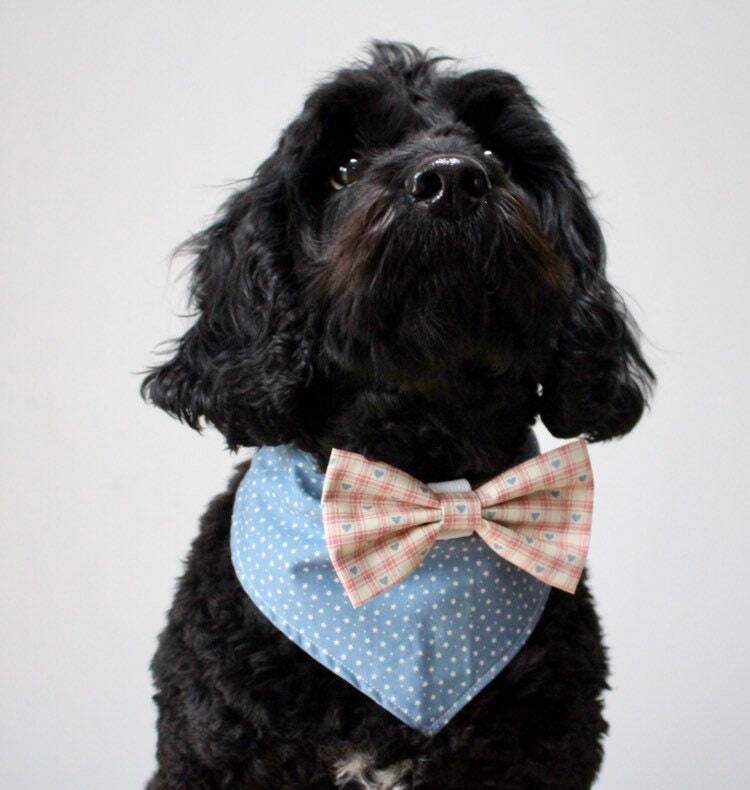 Double sided Dog Bandana in an ivory and blush pink gingham check and blue stars fabric. 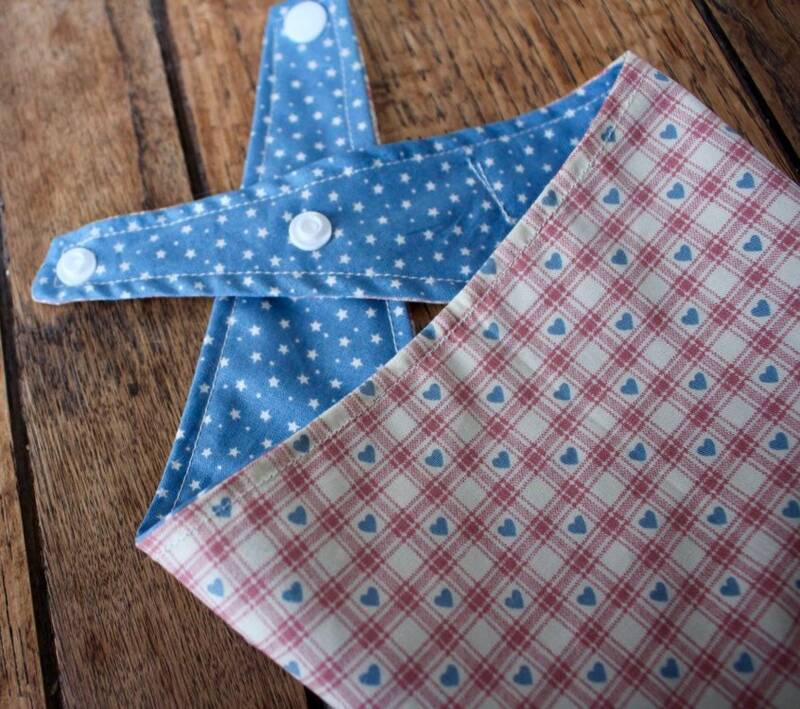 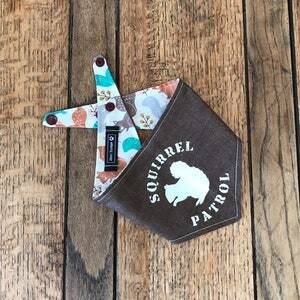 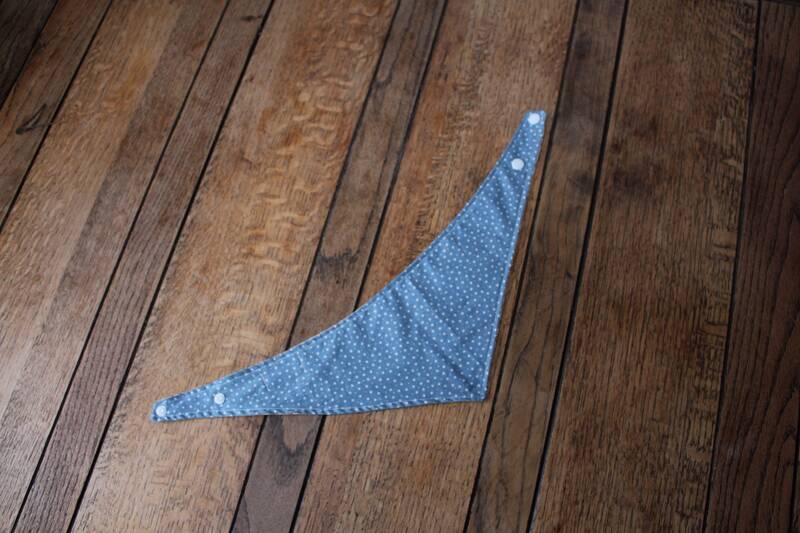 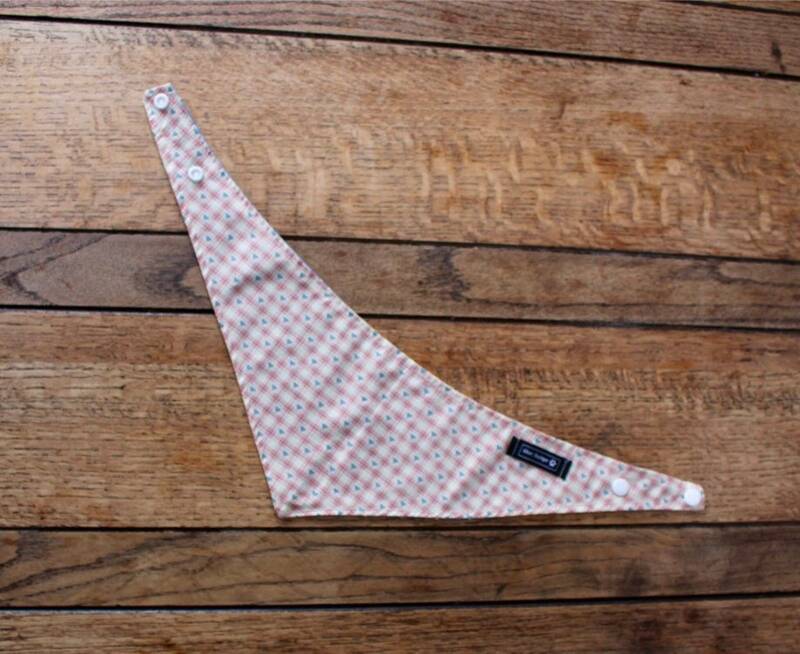 Double sided Dog Bandana in an ivory and blush pink gingham check with a blue stars fabric on the reverse. 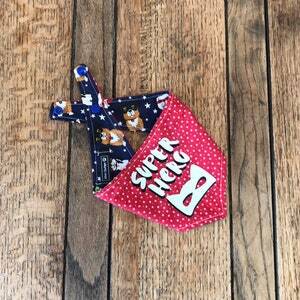 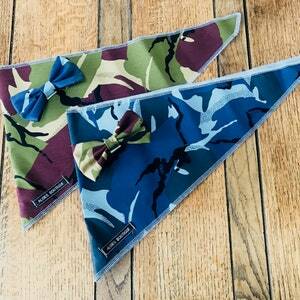 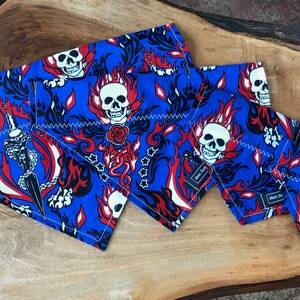 The bandana’s are secured by a popper fastening. 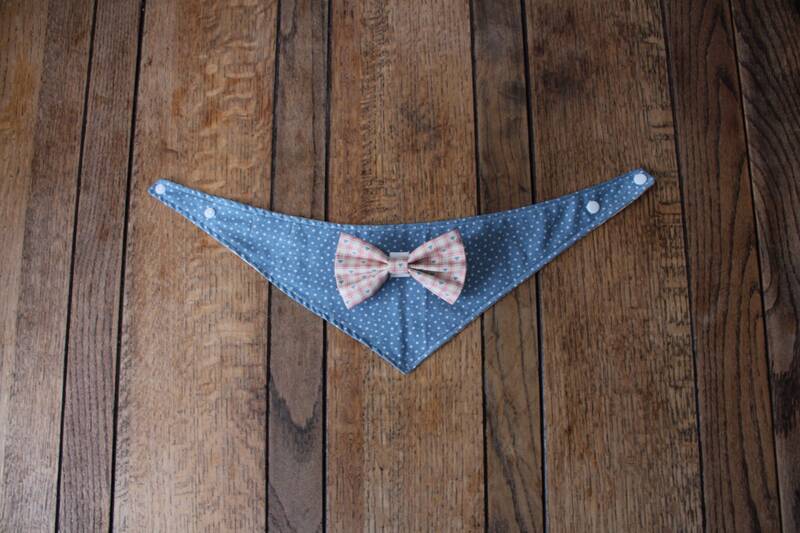 This item can also be personalised with a name of your choice.